Just a quick note. Since all of my flash fiction is now available via Smashwords and other retailers, I've pulled it down from this site. I believe that's a better reader experience, anyway, and the flash fiction on the site kept getting spam comments and no others. So, going forward, my short fiction will only be making appearances in books. Thanks. 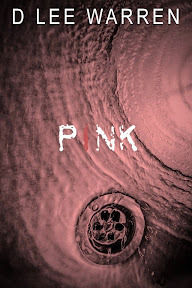 The flash fiction story Pink is now available in ebook form. It’s currently available on the Google Play store, on Scribd, and on Smashwords. It should be rolling out to the other stores soon, with the exception of Amazon. Kindle users will need to read it online here or download the mobi from Smashwords… or wait until I have a collection that I can put up on Amazon. I’ll update Pink’s library entry with additional links when they become available. It took me awhile to get around to it, but I’ve finally started putting the books up on the Google Play store. They’re not all up there, but I have titles from both BD Crowell and D Lee Warren up, and I’m working on the rest, updating the back matter as I go. I’m updating the Library with links as they go live in the store. Just in the short time they’ve been up, with no advertising or fanfare from my camp, Google has already moved several copies. I’m excited and looking forward to what we’re going to accomplish together. In other news, Pink is back from beta reading and Boundless just went out for beta reading. With any luck, I can get Pink finalized and published this weekend and maybe get Boundless out early next month. I’m also making good progress on Bound and slow but steady progress on A Christmas Tale. I’ve resumed work on Parts. It’s been a challenging piece and isn’t coming easily, but I’m still plugging away at it and hope to see it through to completion one of these days. I’ve limited myself to 4 active writing projects at a time so I don’t get spread too thinly but always have something in the pipe. I’m trying to stick to 80% writing projects, 20% blog posts during my writing time. And I work on illustrations whenever I can (which I plan to ramp up soon, but I’ll discuss that in another blog post). You can always see where I’m at in the queue by visiting the Works in Progress (WIP) section of the Library. That’s it for now. I hope the rest of your winter isn’t too cold. 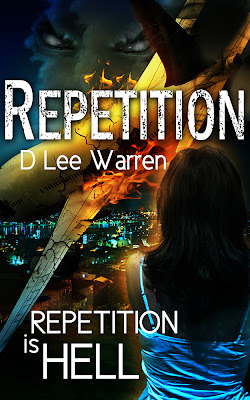 All D Lee Stories FREE in October! There’s a chill in the air. The leaves on the trees are dying, turning brown. They’ll soon release their grip, leaving stark branches outlined against a steely gray, uncaring sky. The chill worms its way into the hearts of the people who know that the Winter will soon be here, all of nature dying for another year, and forcing contemplation of our own short existences. But before old man Winter descends on the lands, we must first go through the time of the reaping, All Hallow’s Eve, when all manner of creatures – spirits and demons – get to roam the land and go bump in the night. The wise will huddle close to the fire, their shutters and curtains drawn, lest they look out their window to find something looking back. Might as well cuddle up with a good book. And if you can’t find one of those.. well heck, have one of mine. All the D Lee stories are free this month*, in celebration of my favorite holiday, Halloween. The price has already been set at Smashwords and should trickle out to the other retailers they distribute to over the next few days. The only pesky ones may be Amazon and Barnes & Noble. I can’t set it as free there, so we just have to wait on a price match. How could you ever thank me? Your readership is enough. If you really feel compelled to do more, leave a review or a comment or even send me an email. I’d love to hear from you. And if you liked it, tell a friend. And if you didn’t, lie to an enemy so they waste their time reading it, too. Bwa ha ha! And have a happy Halloween! *To be fair, all of the currently released ones except Repetition have been free, but this month you can get Repetition free, too. 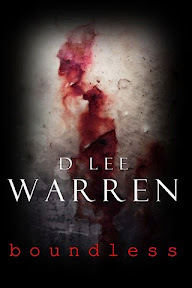 I’m a bit late relaying this over here, but there have been a couple of updates over on the main site that I thought might be of interest to D Lee Warren fans.